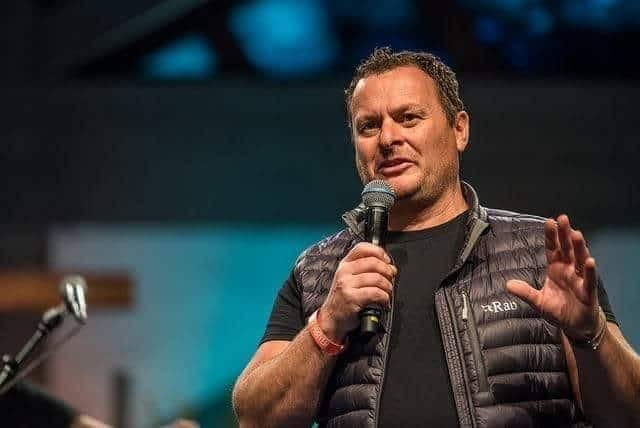 The founder of Thanet’s Global Generation Church has been named in the Queen’s New Year Honour’s list. Mike Andreas, from Ramsgate, has been awarded the BEM (Medallist of the Order of the British Empire) for services to social empowerment in Thanet. 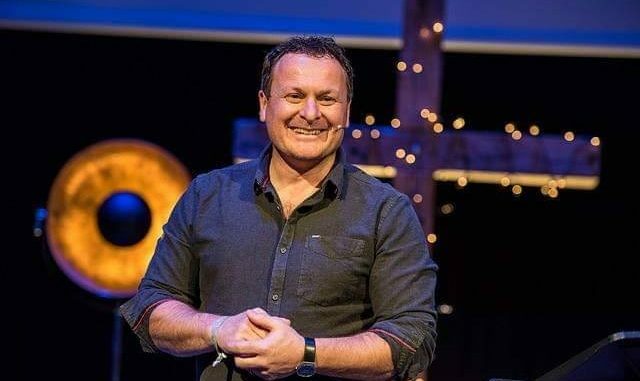 He is the drive behind the Westwood based church and numerous community programmes including Aspire services for the homeless, Pipeline activities for youngsters, the annual Lark in the Park family fun and the Hang 10 mobile activity scheme for youngsters. Dad-of-two Mike, who is married to Stella, has been running and organising community projects in Thanet for more than 20 years. He began with The Pipeline Youth Initiative some 22 years ago with just a football and a flask of hot chocolate and determination to engage with the isle’s youngsters. The Pipeline project now includes numerous activities ranging from sport to community clear ups, training and education. The church was originally based in Newington Junior School before moving to King’s Church in the town and, in 2009, to its current site at Westwood. The church projects include a clothes bank, Aspirations educational programme, health services, help for those who are homeless, community pastors, healing rooms and, of course, the 10-day Lark in the Park every Summer at Government Acre providing free activities for people of all ages. Mike, 44, said: “I was little surprised to say the least when awarded the BEM especially when the simple truth is the true winners are the many team and volunteers making our work a reality in the community of Thanet and further afield. “Our first work in the area was 22 years ago with a football and a flask of hot chocolate, fast forward to today there are over 15 active initiatives running from Glo (GGC) and Pipeline ranging from delivering diversionary activities for young people, the Aspiration centre that is home to the multiple Aspire educational projects and rehabilitation pathways for the homeless, Lark in the Park hosting 18,000 free visits every summer through to delivering our day to day activities as a church. 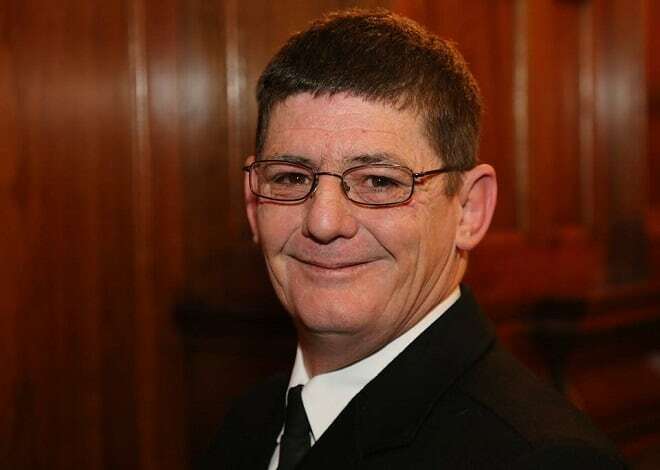 Also named in the honours list is Alan Smith, from Margate, for services to policing. Mr Smith, who is a special sergeant with the British Transport Police, also receives the BEM. As a special police sergeant, Alan volunteered his time to support and protect passengers and railway staff on the south east London and Kent rail network. Alan has contributed more than 3,100 during his years of service. He is a tenacious crime fighter and is dedicated to keeping people safe and reassuring the travelling public. Alan is highly respected amongst his colleagues and is always willing to volunteer his spare time, a true role model for BTP’s special constabulary. In total 1,148 people have received an award in the New Year’s Honour list. Worthless gongs from an unelected, outdated monarch. Every year she dishes them out to parasites selling arms used by despots to murder & maim their citizens & greedy bankers whose unfettered greed put us in the financial crisis we have been in for the last decade-at the behest of their political buddies. Maybe if she didn’t give them to the dregs of the earth it might have a scintilla of credibility. What a Pathetic, jealous individual you are ‘Steve’. Grow up. Jealous of what? A medal from somebody who should have zero power or influence? A medal given to warmonger death merchants responsible for the deaths of millions worldwide, to earn their precious millions that they deposit in their secret Swiss bank accounts? Bless you, go and find a darkened room, it should help. Mike Andrea is everything BUT a useless parasite. Personal friend of ours for many years. God bless you Mike. You deserve your BEM! Who didn’ get a medal then ? Shame you can’t comment on the actual story! Well done Mike and his team of dedicated community volunteers – demonstrating the love of Christ in compassionate action. No problem with the first guy getting recognition-just a shame we don’t have a clean independent awards system for people like him who really deserve praise-instead of having to share it with arms dealers, sleazy bankers, corrupt politicians, overpaid self-obsessed athletes etc. You were bottle fed, weren’t you…. Brilliant award, well deserved, well done Mike, tremendous work. When you write BEM, do you mean MBE? I’ve only ever come across OBE’s, MBE’s and CBE’s. Well done tothe both if them! Mind you, it saddened me to read the above comments. Don’t forget the OBN-Order Of The Brown Nose. BEM stands for British Empire Medal. Completely and utterly homophobic . They broke our hearts . So a 22 year old got use of a primary school to create his own church ? He moved on to a church which was under charity commission inquiry. Brilliant that both Mike and Alan have been recognised for the great work and devotion they both have to giving something back to the wider community and in Alan’s case keeping them safe. Really deserved awards just a shame there is an element in the comments of people who are bitter about them getting these awards that they both had to work hard to get. Thanks for the appreciative comments Jon. My husband, Alan was surprised and honoured to be nominated for this award. He represents a great service of British Transport Police specials who volunteer to keep our railways safe, devoting many hours of his own time on top of doing a full time job. Steve is right. These awards are tainted by the unworthiness of some of their recipients. If you believe the awards regime is tainted then by all means campaign for it to change. However, such individuals as Mike and Alan, both of whom I have met, have earned their recognition for community service, and would, should and will always be welcomed as deserving of their awards through genuine service and endeavour.